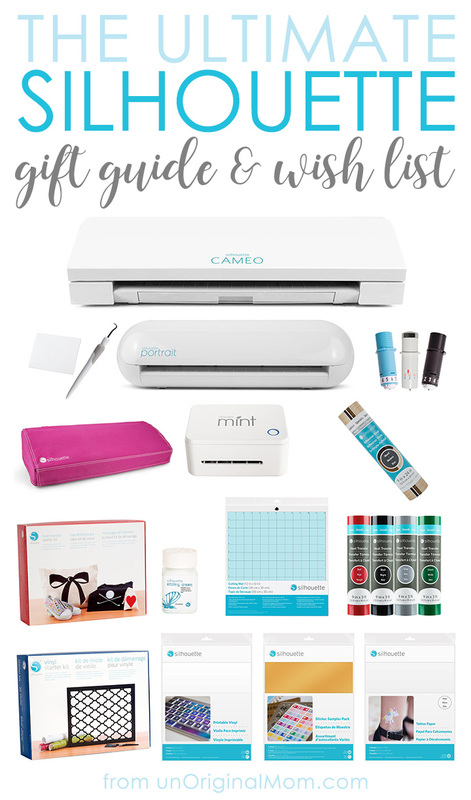 If you’ve stumbled upon this post, you’re likely one of three people…A) a crafter, thinking about purchasing a Silhouette machine (or asking for one as a gift! 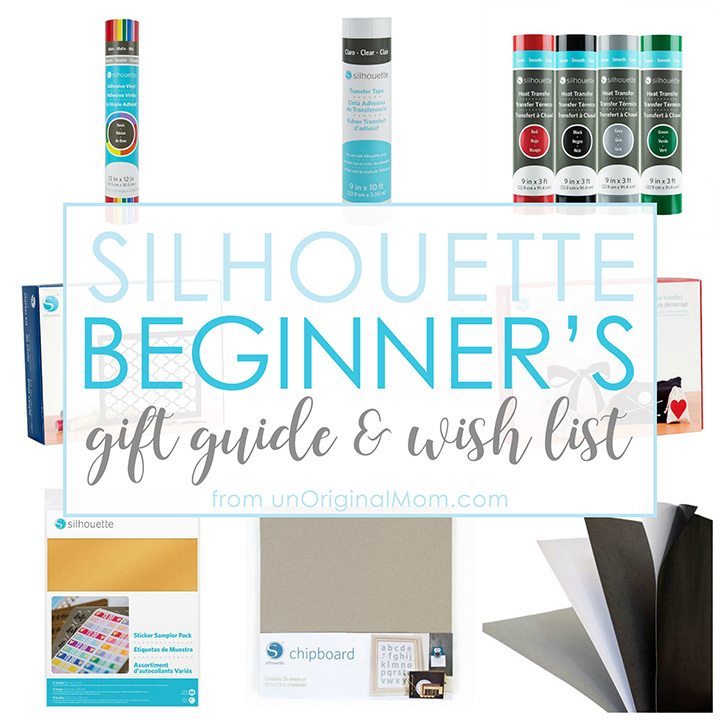 ); B) a Silhouette user looking for reviews/ideas on Silhouette materials and tools, or C) someone who doesn’t know much about Silhouettes at all, looking for gift ideas for a crafter in your life! 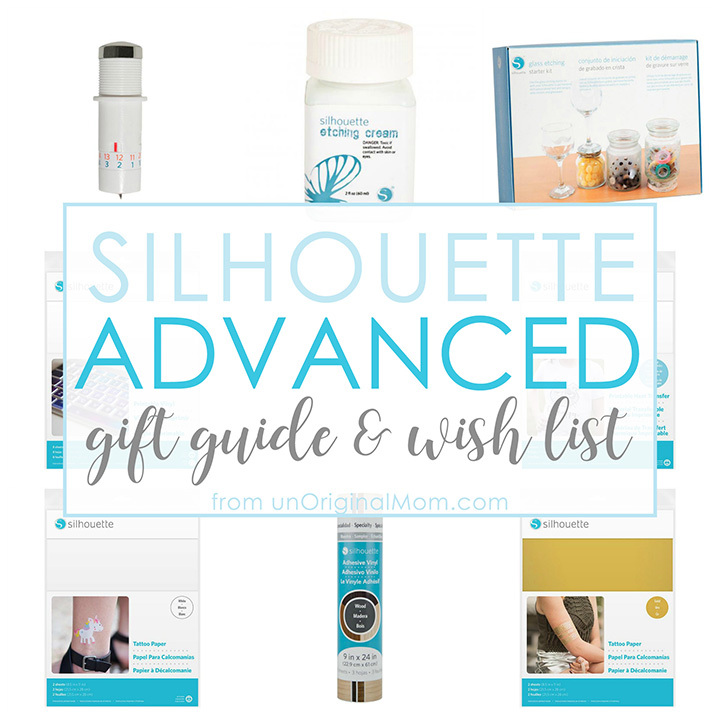 Well, I’m glad you’re here :-) I’ve got some ideas and answers for all three of you in this post, which I’ve deemed the ULTIMATE Silhouette Gift Guide and Wish List! The 2018 Silhouette Black Friday sale is here, and it is AMAZING. There are tons machine bundles, plus the best discount on materials and software I’ve *ever* seen (and I’ve been doing this for a while!). Click here to shop, and use my code UNORIGINAL at checkout to unlock the epic sale prices! So sorry you missed the sale! 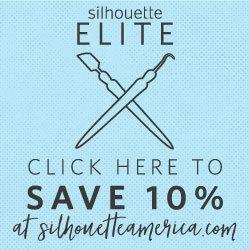 Be sure to sign up for my email list to get notifications of exclusive monthly Silhouette Elite sale deals that aren’y advertised by Silhouette America! This post contains affiliate links. Trust me when I say I am recommending these Silhouette products wholeheartedly and with plenty of personal experience, because I big-fat-puffy-heart-LOVE my Silhouette! Silhouette makes two main craft cutting machines – the CAMEO and the Portrait. Both of these machines use very small blades to cut whatever kind of design you can dream up out of all kinds of materials – card stock, paper, vinyl, heat transfer vinyl, sticker paper, fabric, and more. The biggest differences between these two are size (CAMEO cuts up to 12″ wide and the Portrait cuts up to 8″ wide – they can both cut essentially unlimited lengths when you’re using rolls of vinyl) and the price. When I was just starting out, I bought a Portrait, and that was a great decision for me at the time. 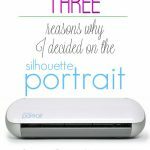 Read all about 3 Reasons Why I Chose the Silhouette Portrait here. I’ve since upgraded to the CAMEO 3, and I LOVE the extra cutting width and the dual cartridge design. 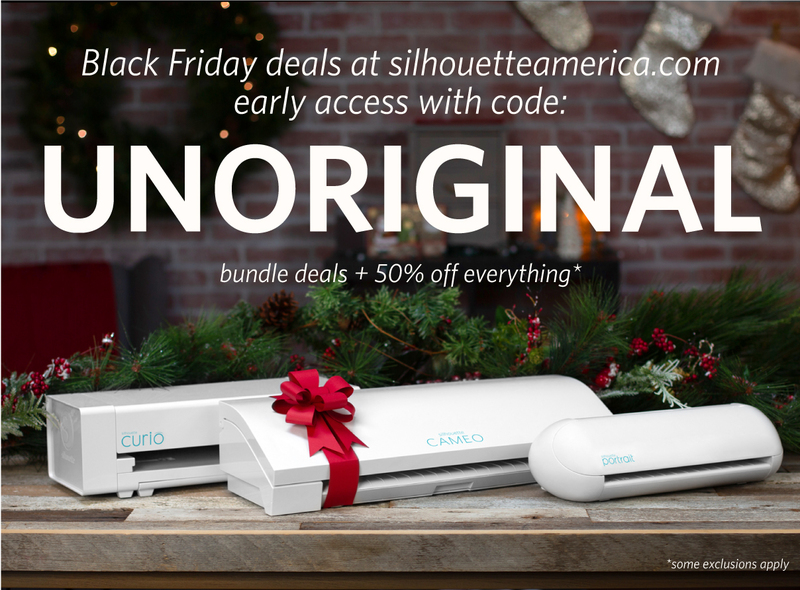 Silhouette makes three more machines – the Curio, the Mint, and the Alta. The Curio is also a cutting machine with a platform base for cutting thicker and more rigid materials, as well as etching and stippling on metal sheets. I’d call it a companion machine to the CAMEO or Portrait, not a replacement. The Mint is in it’s own category completely – it does no cutting at all! The Mint is a custom stamp maker. It would make a great gift for ANY crafter! Finally, there’s the Silhouette ALTA, which is a 3D printer! I haven’t been able to try it out yet but I’ve seen amazing things my blog friends have crafted up – personalized key chains, ornaments, even cookie cutters! Extra blades and mats. Even though your machine likely came with a blade and mat, you’ll always want to have a fresh set on hand. Your blade and mat may need to be replaced after a few weeks, or they could last you for months at a time – it all depends on how often you use them and what types of materials you are cutting. Fabric Blade. You’ll also need to have a fresh blade on hand to keep just for fabric – it’s identical to the regular blade, just a different color so it’s easy to keep separate, just like you keep separate fabric scissors so they don’t get dull by cutting paper. Hook Tool. Absolutely a must-have for weeding designs (that means removing the material that’s not part of your design after cutting), especially when you’re cutting vinyl and heat transfer material. Scraper. I own two of these because I’m always putting one down and forgetting where it is! This is used for pressing down transfer tape onto your vinyl designs, and then pressing down vinyl onto your project surfaces. It’s great for applying vinyl without bubbles! Vinyl. This is the quintessential material for a Silhouette. It is incredibly easy to work with, you can use it on all sorts of project mediums (glass, canvas, card stock, ornaments, walls, plastic bins, or use it as as a stencil on all kinds of things…) and it looks so professional! If you own a Silhouette and haven’t used vinyl, well, that’s kind of like having a really nice sports car and only driving it around the neighborhood. You’ve got to try it! The Vinyl Starter Kit is terrific for beginners: it contains 4 large sheets of vinyl, a roll of transfer paper, plus the hook and scraper tool – everything you need to get started! Transfer Tape. Transfer tape is kind of like a big piece of painter’s tape. When you cut a design out of vinyl, you weed the extra vinyl that’s not part of your design, cover your design with transfer paper and press it with your scraper, then lift the transfer paper – your vinyl design will lift with the transfer paper. Then you line up your design on your project surface, stick it down (again pressing firmly with the scraper), and peel up the transfer paper – the vinyl will remain on your project, perfectly lined up! It is virtually impossible to use vinyl without some type of transfer paper, so if you plan to cut vinyl with your Silhouette be sure you also have a roll of this stuff! Heat Transfer Material. Here’s another amazing and simple use for a Silhouette with super professional looking results. You cut out designs from this stuff and then iron them onto fabric. I’ve used it for things like baby onesies (oh, so many onesies! ), a few Christmas shirts (here and here), tote bags, and lots more! I love coming up with the perfect, personalized saying or design to put on a shirt or onesie as a gift. *Adhesive Card Stock. I always recommend that beginners start with making greeting cards. It’s a great way to get comfortable with your machine and card stock is inexpensive, so it doesn’t matter how many times you mess up the cuts. Plus, you can start with really simple designs and get more and more complicated. Silhouette’s adhesive card stock is great for greeting cards or scrapbooking, and it’s a good way to get familiar with a “kiss cut” – that is, cutting just the material but not the backing paper. *Sticker Paper. Stickers are a great way to get your toes wet with the print-and-cut technique – the possibilities are endless. No, your Silhouette doesn’t actually print (I was confused about that at first and I get questions about it often) – when you print to your printer from Silhouette Studio, you have the option of adding “registration marks” which are little shapes on the corner of the page. When you load your printed paper into the Silhouette, the Silhouette will “read” those registration marks to orient itself on your design. Then it will cut out your printed designs! This is really great for printing all kinds of stickers. I used a variety of sticker paper to make these return address labels, and you can also make amazing personalized planner stickers like these! The sticker sampler pack is great so you can get an idea of all the different kinds of sticker paper Silhouette makes – there are a bunch, and they’re all pretty fabulous! *Chipboard. Chipboard is thin cardboard, about the thickness of a cereal box. It’s great for making small boxes, gift tags (like these! ), and adding dimension or rigidity to other projects. This is a good material to have on hand in your stash. Designer Edition. If you’ve been using your Silhouette for a while and are comfortable with Silhouette Studio, you may be ready to upgrade to the Designer Edition of the software! Don’t worry, it’s not a whole different program…upgrading to Designer Edition just “unlocks” some great features within the Silhouette Studio program you’re already familiar with. My favorite things are the ruler, being able to erase and cut through single lines rather than entire shapes, and the ability to open SVG files. (In case you’re wondering, the Business Edition is another step up from Designer Edition, and it unlocks the ability to save as SVG files, along with several other handy features for folks that use their machine more frequently.) Check out all the levels of software upgrades here. *Etching. Vinyl makes a great stencil for glass etching. I’ve made all kinds of personalized etched glass gifts like casserole dishes, wine glasses, and even a whiskey decanter set! Grab the Glass Etching Starter Kit to get started! *Tattoo Paper. This is SO fun to play with!! It works without a Silhouette too, but being able to cut around each tattoo with your Silhouette for nice neat little temporary tattoos is great. I tried this out the first time to make personalized tattos for my sister’s bachelorette party, and it was amazing!! Make tattoos for parties, kid’s treat bags, holidays, or just for fun! Plus…they have metallic gold and silver tattoo paper! That’s is on MY Christmas list for sure. *Wood Vinyl. I tried this out on this project, and it is really neat! It’s basically just vinyl that’s looks like wood…so you can imagine there are some neat possibilities here for sign making and other embellishments. Printable Vinyl and Printable Heat Transfer. This is great when you want more intricate multi-colored designs but don’t want to layer your vinyl or heat transfer material. Print, cut, and apply! *Specialty Kits – Unlock some new crafting possibilities with some of Silhouette’s newer starter kits, like the Silkscreen Starter Kit (silkscreen your own custom shirts and apparel items!) and the Doming Kit (make adorable custom domed stickers. There’s also the Jewelry Making Kit, which involves printing and cutting shrink plastic sheets to make adorable little jewelry charms! *Silhouette Mint. This is such a fun little machine! It makes custom stamps that you can personalize and design yourself. Fun for any crafter, but especially great for anyone with a crafting business or other side hustle like a MLM side business. You can make return address stamps, branded stamps to use on receipts, packing slips, packages, etc. Roll Feeder. If you find yourself often cutting directly from rolls of vinyl or HTV, the roll feeder is a life saver. It keeps your rolls feeding perfectly straight! The only bummer is it’s bulky to store when you’re not using it. *Dust Cover. Though not completely necessary, a dust cover helps keep your machine clean and protected when not in use. It’s also fun to customize with HTV! *Pen Holder. The pen holder allows you to use your own pens, markers, and sharpies to sketch on materials with your Silhouette. 24″ Cutting Mat (for CAMEOs). Really nice to have when cutting larger sheets of paper or vinyl! Do you have any questions about items on my list? Or maybe you have a favorite item you think I should add? Leave a comment and let me know! Just introduced to the magic of the Silhouette and would love to own one! Love to have the Silhouette Cameo 3. Thanks for the giveaway! You’re so welcome, Pat! Good luck! Crossing my fingers for you too, Christine! I love the color options they are coming out with…the black looks so chic! Excited about new crafting possibilities! And there are SO many…I feel like I learn new Silhouette possibilities almost every day. The creativity is really endless! Fingers crossed! I’d love to learn how to make lovely vinyl lettered signs and home decor. The vinyl signs and home decor are my FAVORITE things to make with my Silhouette. Fingers crossed for you too, Jen! Oh my goodness, weddings and baby showers are like the Silhouette gold mine…so many things to craft!! That would be perfect! I haven’t tried that yet but I really want to! It looks so neat! Ooohhh, I would love the updated cameo. And I love to stock up on mats and blades during a sale. Thanks! The new one is so great…I love the dual cartridge and the automatic blade. Stocking up on blades and mats is a great idea, I do that during this sale too! The possibilities of being crafty are endless! They really are! I feel like I discover new possibilities with my Silhouette almost every day! Thanks for sharing your ideas! So creative! While I’d really ♥ a Cameo3 (I currently cut with a Portrait) for it’s extra cutting size options, I’d like a Curio to try engraving & stuff like that. Thank you for promoting Silhouette & hosting this awesome giveaway! I had a Portrait for 4 years before I upgraded to the Cameo, and I never really felt limited by it! The Curio is really neat too, I love being able to engrave and cut/sketch on thicker materials. There will be amazing bundles for both of those machines in the Black Friday sale ;-) Good luck in the giveaway!! I would love the cameo 3. This single mom needs a second income and I know this would help! It’s amazing how many people have thriving businesses just using their Cameo…so many possibilities! Good luck! I would love the Cameo 3! I have a circuit and feel like it does not have the functions that I hoped for! I’ve heard awesome things about the Silhouette!! I’m glad you’ve heard good things about the Silhouette, I really can’t say enough about it! It’s really great. How generous of you…it would be an amazing gift! Thank you so much even just for the advice on what to get to get started. I have never owned a cameo or portrait but I’ve been diy crafting for years and I’ve just recently been hearing about all the time saving wonders a cutting machine like a silhouette can do!! I’d love to try the cameo 3 for the size abilities, but the portrait alone would already be such a blessing. Thank you for all that you do in educating us crafters!! You are so welcome…I’m glad you found it helpful!! It really is amazing all the things you can do with one of these little machines! The Mint is such a fun little machine…I love being able to crank out custom stamps whenever I have an idea for one! I’m not picky and just want large enough that I can make vinyls for shirts and home decor signs with ? I’d love the GLASS ETCHING STARTER KIT. Oooh, good choice. Glass etching can be a little intimidating but it is so darn neat! I am just getting started in the DIY/Crafting world and I am really enjoying it. It allows me to have “me” time! I am really interested in the cameo 3! It looks like it would be a great addition to my DIY inventory! Yes!! That’s why I started, too. 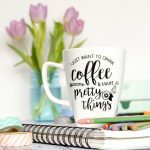 So nice to unwind and make things…it makes me feel relaxed but productive at the same time :-) The Cameo is an amazing DIY tool, if I could only have one thing in my DIY inventory that would definitely be it! You’re welcome!! Good luck Alexandra! Would love to have the Cameo 3 – currently working with the original. I just upgraded to the Cameo 3 this summer and it is SO nice…I love all the features they added. Good luck Debi! I love my Cameo and hoping to someday say the same about my Curio! Still not tried the mint but would love to! The Curio is really fun too! I don’t use it nearly as often as my Cameo but it can do lots of really neat things, I need to spend more time experimenting with all those materials. Good luck! I would love a Cameo 3!! Currently have the original Cricut but want to do sooooo much more! <3 Thanks for the giveaway!! You’re welcome! Good luck Megan! First I’m so excited that this is open to Canada WOOHOO! Yay!! :-) The Curio would be a great addition! Oooh! The possibilities of all the crafts you can do yourself or with kids! They really do! I haven’t tried the embossable foil yet but I really want to, it looks so neat. Would love to win the Cameo 3! There are so many amazing crafts that you could use this for ?? Yes there certainly are! Good luck Sarah! I’ve been debating getting the Mint since April. Fingers crossed for an awesome Black Friday sale!!! Ooo you’ll be glad you waited, there are some good deals coming!! The roll feeder is really handy to have! Thanks for the giveaway opportunity. Does the Silhouette Transfer Tape work on sticker paper? Hi Danielle, the transfer tape really only works with vinyl…it might work with the foil sticker paper but it would likely rip up the regular sticker paper, though I’ve never tried it. My hobby is very expensive, lol! If I had to pick something to add to my collection, I’d pick rhinestones. And vinyl. And another cameo to supplement the work flow. Oh, and more blades, too. ? All good things! Though I don’t know how I’d handle having 2 Cameos going at once, I feel like I’d definitely screw them both up somehow, haha. I know people do that, though, which amazes me! I have a cameo 3 now but would love a 2nd and a curio!! The Curio is really neat! Thanks Carla! The Mint machine is so fun, you’d love it! My Silhouette is the best tool I have ever purchased. I’d LOVE to have the newest version. Thanks for the opportunity to win another. It would be great to win. I could use a Cameo 3. Thanks you for doing this. Your’e welcome, Lisa – good luck! You’re welcome! Good luck, Chellie! I would love to win the Cameo!!! How fun!!! I would love a Cameo 3 and a Mint. They are both really great machines. Good luck Debbie! I would absolutely LOVE to get a Cameo 3! I would love to give one to you!! Good luck! Extra mats & blades are always great to have! I’d love to have a pen holder. Great blog post.. Thank you! Yes, I always stock up on blades and mats during this sale. And the pen holder is a great tool to have, too, I use it with fine point sharpies all the time! Can’t wait to see the deals! I can’t wait to spill the beans on the deals…they are SO great, and there are so many!! You’re welcome Jacqui – good luck! I have a Cameo 3, and love it. I would wish for a Cameo Curio, so I could try to do some embossing and whatever else I can learn to do on the Curio, that I can’t so with my Cameo 3. The Curio is really neat too…I’ve done some engraving, cutting thicker materials, and sketching on thicker materials like wood. Lots of possibilities! You’re welcome, Dorothy, good luck! I Like the HEAT TRANSFER STARTER KIT. That’s a great way to get started playing with heat transfer material! I can’t wait to get a silhouette cameo!!! My friend has both the cricut and silhouette cameo and definitely prefers the cameo! Oh that’s interesting…I’ve heard that from several other people too! You will love the Cameo! Would love to win this for my daughter-in-law she really wants one, would be an awesome Christmas surprise!! That would be the best Christmas surprise ever!! Good luck Kathy! I know, that foil has me excited too. I can’t wait to try it! I would love to have a Cameo. What a fabulous giveaway! Thanks! You’re welcome, Katie! Good luck! I’d love a deep cut blade to elevate my projects and expand what I can create! The deep cut blade is awesome! There are many things on this wish list that I would like, but mostly I would love a Cameo 3! I can attest, the auto blade is really nice! I would LOVE to win this. I am a Silhouette girl and mine is starting to die. UGH! Oh that would be the perfect gift!! Good luck! That’s a great wish for Christmas! Fingers crossed for you! I’ve just seen this item on Facebook and Iam fascinated by it!! It still fascinates me and I’ve had one for 5 years, haha! Such an amazing little machine. Would love to upgrade my Cameo! Happy Holidays to you too, Tre! Good luck! I would love to win this for my daughter. Thanks for the opportunity!!! I’m sure she would love it! You’re so welcome! You’re welcome, Chelsea! Good luck! 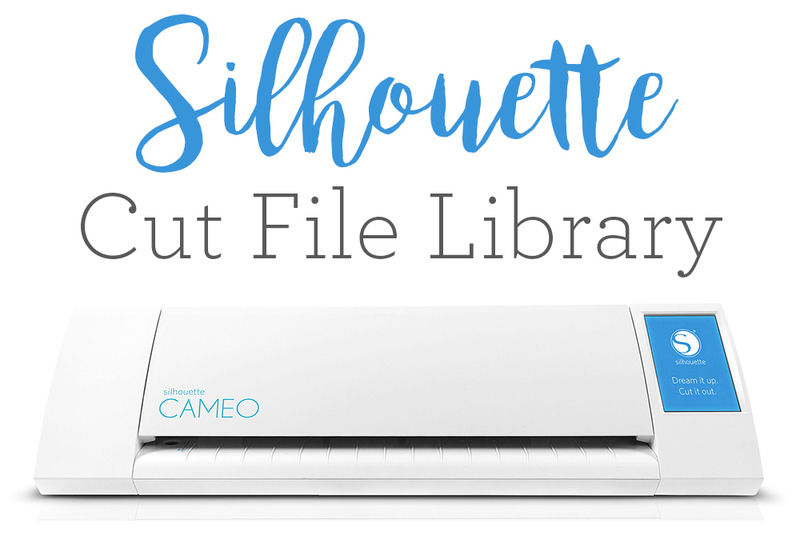 I am new to Silhouette and would love to try the Cameo 3! So many possibilities. Yes, the possibilities are truly endless! Thanks for the give a way! Pick me!!!! You’re welcome! Good luck, Diana!! If I won a Cameo 3 I’d give my current one to someone I love! The deep cut blade would be awesome to have! Great idea! The deep cut blade is really neat. I didn’t even know that had a pen holder that can hold your own pens! That’s going on my list! Yes! I love using it with gel pens and fine tip sharpies. Yes, the larger mat and all the upgraded features are so great! I have seen so many amazing ideas for Christmas gifts already this year, and they all use the Silhouette. I would love to be able to make some of these crafts! There are some really incredible ideas out there…I remember being frustrated before I got mine because every time I saw a project on Pinterest I liked it would use a Silhouette so I couldn’t do it. Having one opens up so many possibilities! Good luck! So many things I’d like to get & try. Like the minc or tattoos. ? The tattoo paper is SO neat! I am excited to try the metallic tattoo paper too. I would love a Silhouette with a bigger mat! The extra cutting space is definitely nice to have! I try to get my year supply of things like blades and mats during their sale since the prices are so great. I want to purchase the upgrade from Designer Edition to Business. I do that too! And I’ve been thinking about Business edition as well. You’re welcome Monica, good luck!! Silhouette Cameo 3 is on my wish list! I’d love to win it. Thanks for the chance! You’re welcome! Good luck, Jamie! I have been eyeballing the Glass Etching Starter forever! Sending this link to hubby for gift ideas!!?? Always love to read your latest posting. You always make my day more fun. I’d love a Silhouette Cameo 3. Aw, thanks so much!! :-) I’d love to give one to you! Good luck, Marcia! Great gift lists…you have everything listed that is needed. AND an awesome giveaway! Thank you. You’re so welcome Tawn, I’m glad you found them helpful! Good luck! I’ve been comparing the silhouette and cricut for a few months! I think the Black Friday prices are going to sway my vote!! Can’t wait to have one! The Black Friday prices & bundles are really amazing, the best I’ve ever seen! If you’re in the market for a Cameo you’ll definitely want to check out the pre-sale on Tuesday, there are some really unique and exclusive deals/machines that will sell out very quickly! I would love a silhouette cameo 3. I’m just learning and would be able to do so much with this. Thanks for having the giveaway. It is such an amazing machine! You’re welcome, and good luck Cindy! It would be the perfect gift! Good luck Ruth! I would love the Silhouette Cameo 3! It looks wonderful. It really is amazing! Good luck, Kris! Would love the Silhouette Cameo3! Great article with so much good info! I’d love to be your friend who wins!!! The Silhouette Cameo3 seems so amazing! I’d love a Silhouette Cameo 3! Plus some of the Embossable Foil to try. Thanks so much for all the great ideas you share with us! I’m so glad you find them helpful, Elaine! Good luck! I would love a Cameo 3 – there is so much you can do with it! They really are…so many craft possibilities! Thank you for an awesome offer. Love the machine! You’re welcome! Good luck, Colleen! You’re welcome, Tina! Good luck! I have been wishing for a Cameo to add details to the Little Free Library I am building! Oh that would be so great! Good luck! It definitely is! Fingers crossed for you too! Thanks for the chance to win a Cameo! I would love to win!!! I’ve been wanting a Cameo 3 to upgrade my sticker-making process! Great idea! I love making stickers with my Cameo! Oh the Cameo is a gift gifter’s best friend! So many great gifts to craft. Good luck! Such an awesome giveaway! I have yet to purchase a mint and would love to try it, I think I might take advantage of the sale this year. Thanks so much for your blog and the chance to win a Cameo 3. I am also getting excited for the early Black Friday sale. I have a reminder on my phone set and ready to go! I know, I’m so excited! Good idea to set a reminder. Good luck! I would LOVE a new Cameo 3 to get my craft on! This is a great giveaway. Thank you! Can’t wait to see the Black Friday deals! Thank you for this chance!! It would be Awesome to win!!! You’re welcome! Good luck, Lindsey! Thank you for a chance to win! I’ve had my eye on a silhouette for quite awhile now! You’re welcome, Melissa – good luck! One of everything! I love giveaways, Thank you! One of everything is on my list too, hehe. You’re welcome!! How I would love a Silhouette. I would love to give one to you! Good luck! I’d love to give one to you, Carol! Good luck! I would love a Silhouette Cameo 3. I have an original Cameo and we have been having a blast creating shirts with heat transfer vinyl. I would love to try it with fabric to make cutting pieces for appliques faster than I can do by hand. Fabric appliques are so neat…I’ve done it a few times but it’s something I’d like to do more often. I love my moms Cricuit and I was checking out a Cameo in the store over the weekend. They are beautiful very versatile pieces of equipment! Even if I don’t win it is definitely on my Christmas list! Versatile is right – I am continually amazed by the projects I see people make with their Cameos! I used my Portrait all the time for 4 years, it’s an amazing little machine…but I just upgraded to the Cameo 3 this summer and it has been great! The dual cartridge, auto blade, and larger cutting space makes such a big difference. Good luck, Gail! Thank you for doing a giveaway! I have had my eye on one of these crafting beauties and still haven’t purchased one, but it would be awesome to win one! You’re very welcome, Caitlin – good luck! Those are great crafting “staples” for your Silhouette! I LOVE my Silhouette! My daughter also uses mine, and I’d love for her have her own. What a great giveaway! I need some heat transfer to make some fun t-shirts for my kiddos. I love Silhouette!! 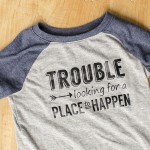 Whipping up shirts for my kids is one of my favorite things to do with my Silhouette, too! Wishlist- silhouette cameo or the silhouette curio. This is such an awesome giveaway! Thank you!! Both are really great machines! Good luck Anna! My daughter has a silhouette and has been taking classes to learn how to use it. I would have to defer to her on what she needs/wants. How fun would it be to have mother-daughter Silhouette craft days? Good luck, Cindy! There’s so many options. So much to try and experiment with. Thanks for the giveaway! You’re right, there are tons of options! You’re very welcome, good luck Michelle! The wood vinyl is so neat, and super easy to work with…even easier than regular vinyl, I think! A Portrait to take to crops is on my wishlist. Thanks for the opportunity to win. You’re welcome Kathyanna, good luck! Haha I know the feeling…I want all the things!! I am loving the upgrades on the Cameo 3 – especially the dual cartridge and auto blade. I would love a mint! I’ve been thinking about it for a while now…. I’ve had a cameo on my wishlist forever but am finally ready and would love the cameo 3!! I love my original Cameo but would love to give her a little sister (although I suppose Cameo 3 would be the big sister! :-D ). Thanks for sponsoring the giveaway! An upgrade would definitely be nice! Good luck, Jacki! I loved reading this post and your fall/winter farm sign. We have a Silhouette at my school and I love that I can create all my own letters and di-cuts for bulletin boards. I wpuld love to have one of my own to really explore what I could do with it. I used to be a teacher and am so bummed that I didn’t discover Silhouette until after I became a stay at home mom…there are so many great Silhouette ideas for the classroom! It’s awesome that your school has one – I think every school should. Good luck, Valerie! I would love the Cameo 3 Myself. I had a cameo years ago and miss her!!! Such an amazing machine! Good luck, Linda! I’m just entering the world of crafting and I’m really excited for this giveaway! Thanks for sharing your talents! This is really the be-all end-all crafting tool…you can do SO much with it! Fingers crossed for you! I think I might want the Mint next. Thank you. I think that it would be wonderful to get a Mint! Dreaming of a Silhouette Cameo 3! Looking to upgrade from my old small cricket. Maybe a Silhouette is what I really need? The latest Cameo and Portrait are truly amazing…and I love being able to design anything I want in Silhouette Studio! I love my Silhouette! Would love to have a silhouette. Thanks for the giveaway! Fingers crossed for you, Karen! Totally adding the Cameo3 black edition to my wishlist. Thanks for posting your amazing blog!!! That black one is so chic and classy, I really like it! You’re welcome, Karen! Good luck! You’re welcome! Good luck Jenn! I would ❤️ the Cameo 3! I’d love to give it to you! Good luck! Love my cameo!!! Thanks for the chance to win the newest one!!!! I love the upgrades in the Cameo 3 – the dual cartridge and auto blade are so great! I would love the cameo 3!!! Fingers crossed! Would LOVE to own a Cameo 3. That’s a great list! I hope Santa hears you ;-) Good luck, Lizelle! The new silhouette is absolutely at the top of my wish list this year!! It is SO great, I’ve only had mine for a few months but I looooove it!! Would love to have the Cameo 3. Love the duel feature of pen and blade. I love the dual cartridge, too! What a great giveaway AND I am stoked to have found you! Love it!!! I’m so glad you’re here, Siobhan! :-) Good luck! I don’t have a sihouette, but have heard they are amazing. So I would love to get one. They are pretty much the best crafting tool ever, I don’t know how I could do without mine! I use it ALL the time. Good luck, Cassandra! This is such a comprehensive list! Thank you so much for the breakdown! I have always wanted a roll feeder! Seems like it would make my life a bit easier sometimes! It is SO handy to have when cutting off a roll! It’s kind of a pain to store, since it doesn’t really collapse, but if you have a place to put it it’s definitely a good thing to have. The Silhouette is definitely on my Xmas list. I would love to win one! I would love to have the Cameo 3. I have the original Cameo and LOVE ? it but would love the new one because it is wireless! This will make it so much easier to take it back and forth between my classroom and home! Thank you so much for the opportunity to win one. I hope you have a wonderful Thanksgiving!! I have been wanting a silhouette for a while now. This list so amazing and is iging to help me out. Thank you! I’ve been so wanting to try the silhouette forever; what I am using has always been a hassle for me. You’ll LOVE Silhouette! It’s an amazing machine! I have the first silhouette. Would love a new one. What a wonderful opportunity! Good luck to everyone who enters! I have only used a Cricut, and never updated it. This would be amazing to win. I have a cricut and have been looking at the Silhouette because it does things a little easier it seems than a cricut. It seems to have a little more versatility, but I can’t afford it just yet. Winning the giveaway would solve my problem. Thank you for the comparison. I totally understand…I saved up for a long time to buy my Portrait when I was first getting started! Fingers crossed for you, Christina! I have an older silhouette and it is time for a newer version. I love crafting with it and have become addicted to making vinyl gifts for my family and friends. I *love* making gifts with my Silhouette…my favorite part is the inevitable “you MADE this?” reaction I always get ;-) Fingers crossed you get your upgrade, Melissa! How to pick? Any of these machines will make crafting MUCH easier, but I’d love the Cameo 3. To be able to cut down on time by being able to use both a pen AND a blade together is genius. Plus, I think my mom has been eyeing my machine. I’d love to upgrade and give her my mine. She’s seen me work it enough to “kinda” know how to use it and not be quite so intimidated by it. Oh, how perfect would that be? You could give her some lessons and have mother-daughter craft days! So fun. Good luck, Randi! I don’t have a Silhouette so I’d love to win one. I would love the Silhouette Cameo 3. I see all of the amazing projects that everyone makes and I would love to be able to do that too! Thank you for the chance to win! I am still amazed by the projects I see other people make – this machine has endless possibilities! You’re very welcome, good luck, Lynn! I LOVE my cameo and would love the upgrade! An upgrade would be so great! Good luck, Sheila! I do not have a Silhouette and it would be so cool to win one! I can think of so many projects and gifts to make! The list of project and gift possibilities is truly endless! Good luck, Tarah! I would love a silhouette! The possibilities are endless. Thanks for the giveaway. Happy Thanksgiving! Happy Thanksgiving to you too Vicki!! I would SOOOOO love to win a Silhouette Cameo 3!!!! That would be an awesome Christmas gift! Thank you!!! It really is the best Christmas gift ever! Fingers crossed for you, Vicki! Lots of great information! I would LOVE to win the SC3! Thanks for the chance! You’re welcome, Dianna! Good luck! I’d absolutley love to win the Cameo 3, gosh I love my original Cameo and would love to see what all the things it can do!!! Sounds like it’s time for an upgrade!! Good luck, Sara! Absolutely love to win a Silhouette Cameo 3! Thank you for a great giveaway and all the awesome ideas! A Cameo 3 is at the top of my Christmas wish list! Thank you for the chance! The Cameo 3!! I could do so much with this baby!! How awesome would it be for me to win this Cameo! Thank you for the chance to win this Cameo!! I have been thinking about buying a Cameo and would love to win one! Thank you for giving us a chance to win a Cameo , how amazing it will be for someone . I love your lists! I am new to the Silhouette world so the guidance is helpful. I would like to try using rolls of vinyl and a roll feeder. I need to play around with different materials. It’s all a little overwhelming right now!